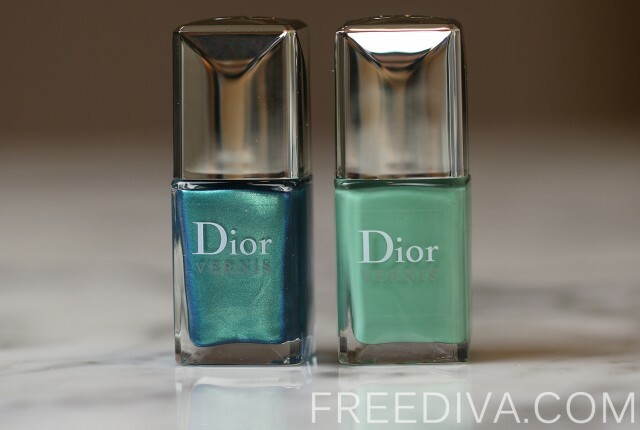 Chanel nail lacquers are most of the time limited edition creations that by the time you use a bottle, gradually begin to appreciate its quality, color and texture, and decide to get another bottle, it is gone! Luckily, this was not the case with one of my long time favorites, Chanel Nail Colour in 579 Paparazzi. I was happy to find out that due to a popular demand, it has migrated from seasonal to permanent collection, or I was informed so by one of Bloomingdale’s sales associates. Well, if it was so, I though happily carrying my shopping bag with a new bottle of 579 Paparazzi Nail Colour and several more Chanel Beauty items to the car, it was an admirably logical decision on part of Chanel brand management, since I don’t know about you, but I have recently noticed that as soon as any paricular beauty product becomes very popular, a brand (not talking about Chanel in particular) decides to discontinue it. Why?! That has never made sense to me. Well, going back to my Chanel Nail Colour in 579 Paparazzi, I once again was happy to experience the quality of Chanel nail polishes on my nails. I applied 2 coats of 579 Paparazzi over Butter London Nail Foundation Flawless Basecoat, which makes any nail color application very smooth and without any streaks on dry-down. The 2 coats were enough to provide an even layer, but the drying time is not one of the best qualities of Chanel Nail Colours. Through the constant testing and elimination process, my favorite fast drying top coat is now Deborah Lippmann Hard Rock Hardening Top Coat, which I use over all nail colors and have been happy with the results: the time it takes for nails to dry is close to nothing; plus, it it protects the color from chipping and makes it last longer. 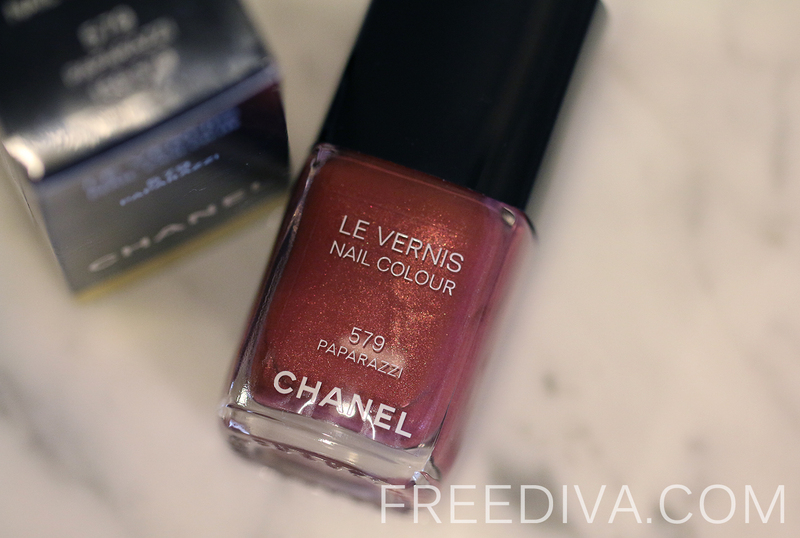 As for the pigmentation, the Chanel 579 Paparazzi Nail Colour is deep mauve rose shade with tiny gold and bronze shimmer that in my opinion is perfect for Fall and Winter seasons. 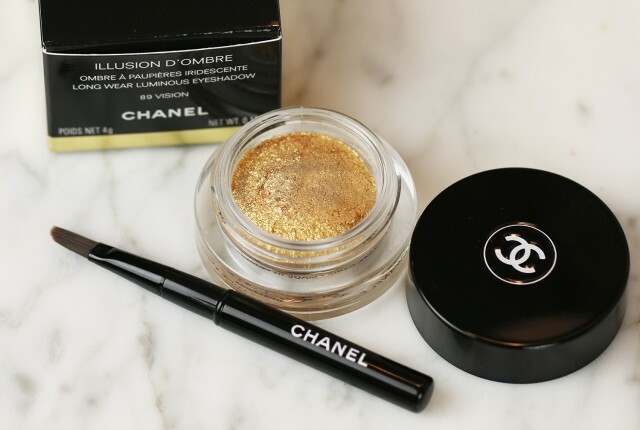 Similar to Chanel shimmery nail polished, the 579 Paparazzi has a gorgeously deep pigmentation and almost three-dimensional effect to it, which makes it quite unique and unlike any other nail color that exists out there. With the invent of MAC Nail Transformation Top Coats, I believe, now almost any nail color, even the dullest one can be transformed into an interesting and unique shade. I expect to use this nail polish throughout the soming Fall and Holiday seasons and look forward to try different MAC Nail Transformation shades over it.